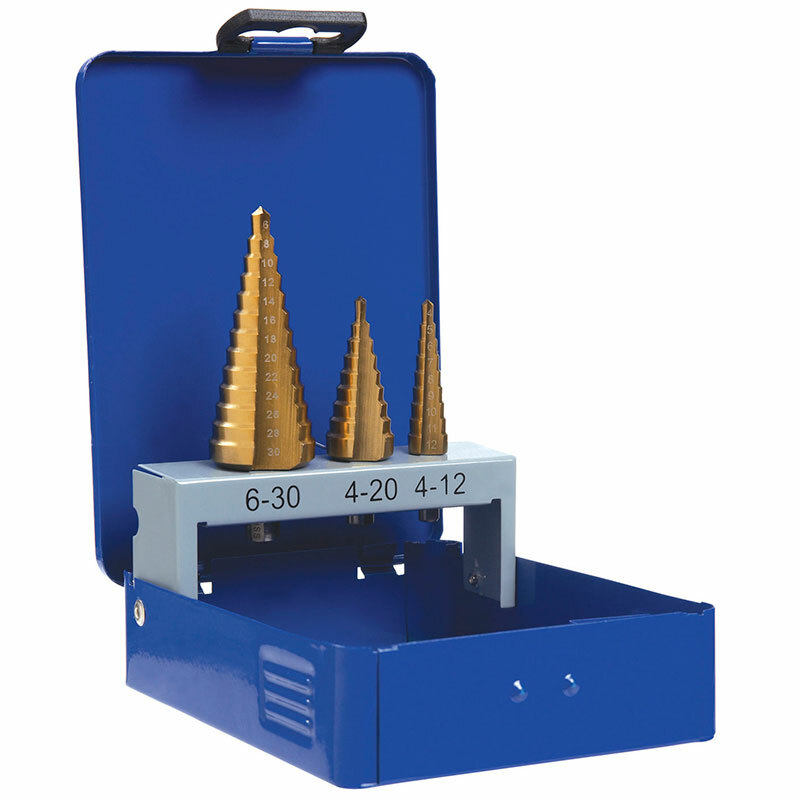 Alpha Step Drills replace individual drills offering a wide range of sizes in a single drill. Manufactured from Premium HSS raw material, and TiN Coated for reduced heat and long life. Ideal for drilling thin materials such as stainless steel, copper, brass, aluminium, plastic and laminates. Self-starting tip to prevent drill wandering. Drilling and deburring in the one process. Laser marked diameters that will not wear off with use. 3 flats on shank to prevent slipping in chuck.